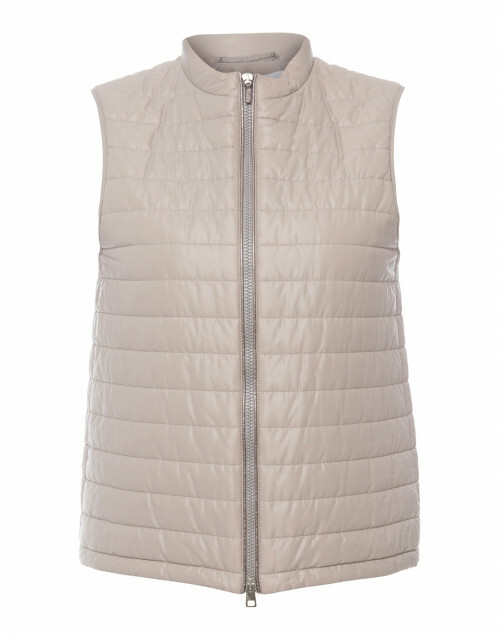 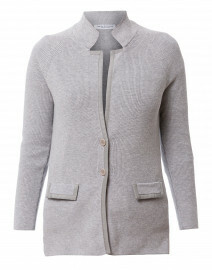 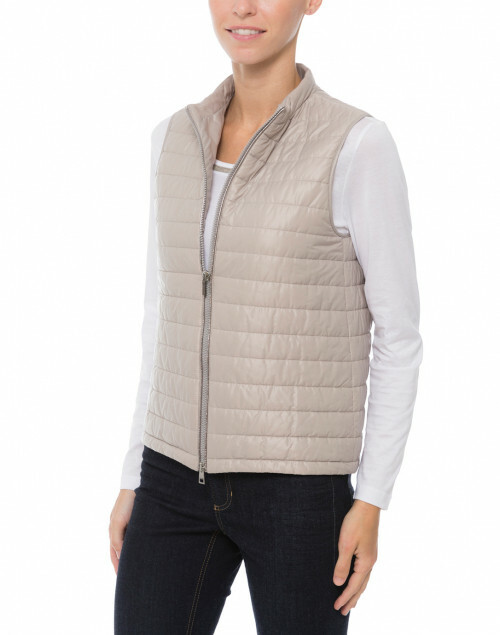 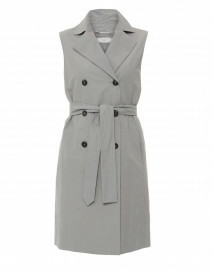 Let Fabiana Filippi's gray beige puffer vest lend a contemporary flair to your wardrobe. 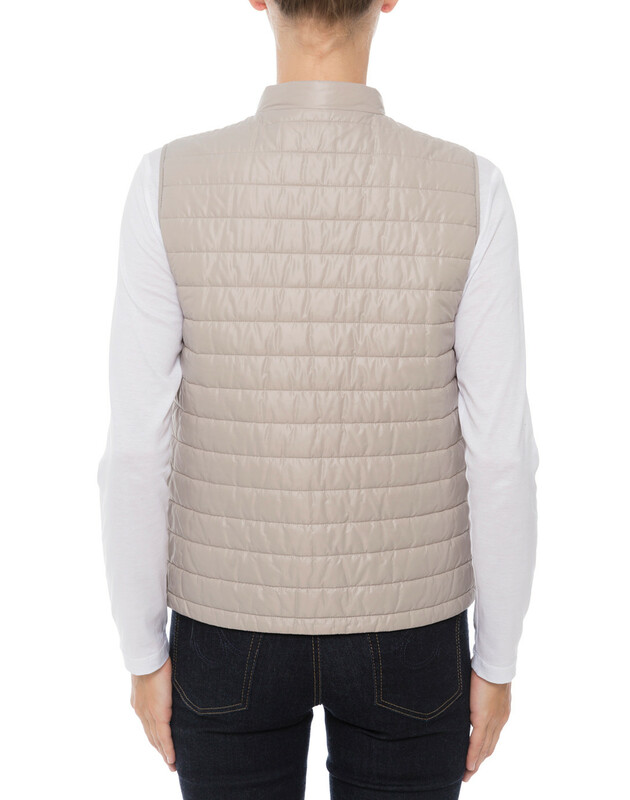 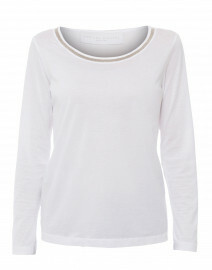 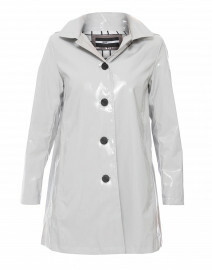 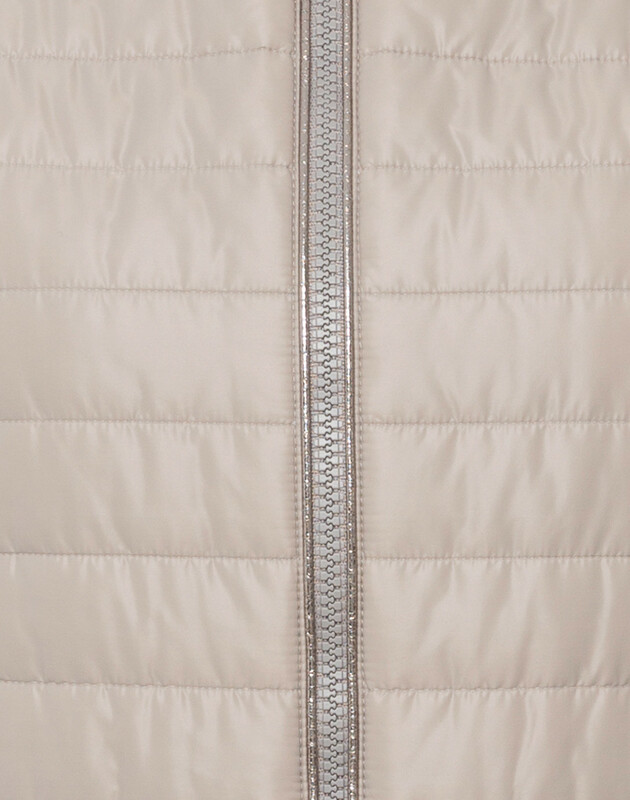 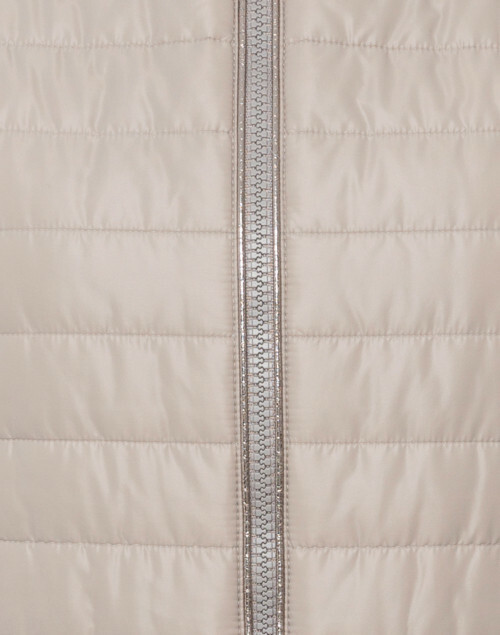 It’s crafted from feather-filled quilted fabric, and shaped with a stand-up collar and a zip-up neckline. 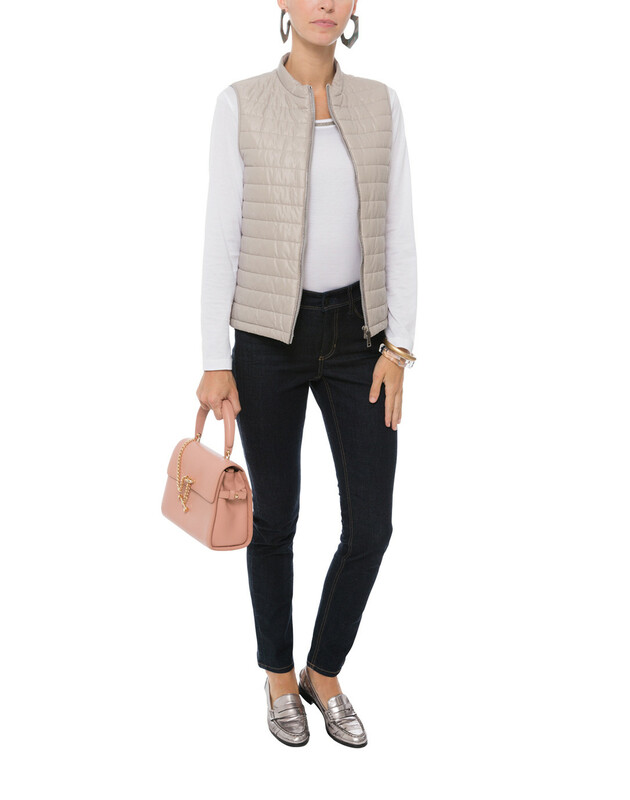 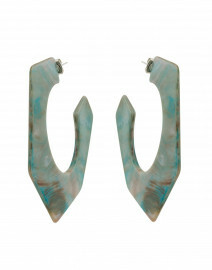 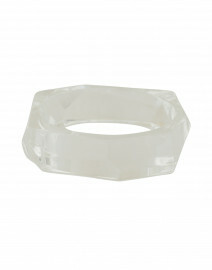 Team yours with slim jeans and a white tee for a polished daytime look. 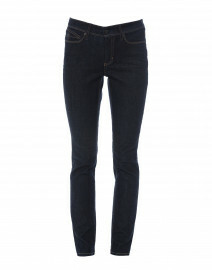 Length 22.5" 23" 24" 25" 26"
Bust 35" 37" 38" 40" 42"
Waist 36" 38" 39" 41" 43"
Hip 37" 39" 40" 42" 44"